One things for sure, I can always use more time in the mornings! Getting the kids dressed, breakfast ready, teeth brushed, bags packed…it’s always a rush and then a mad dash to school. It’s high stress and we long for weekends when we have more time to relax and enjoy our mornings. I recently learned about Quaker overnight oat recipes and since I started making them we’ve had much more relaxing mornings. They only take a quick 5 minutes and they are really easy to whip up before bed. Not to mention, they’ll save you so much time in the morning. And who doesn’t want that? 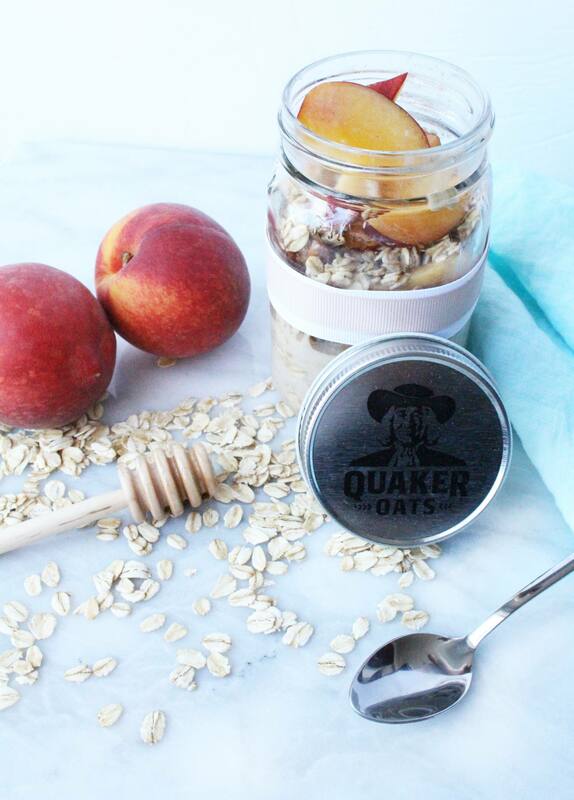 Austin has been loving all of the Quaker #OvernightSuccess recipes but his favourite so far is this Vanilla Peach one. It’s very flavourful and oh so tasty! I’ve included the recipe for you below. 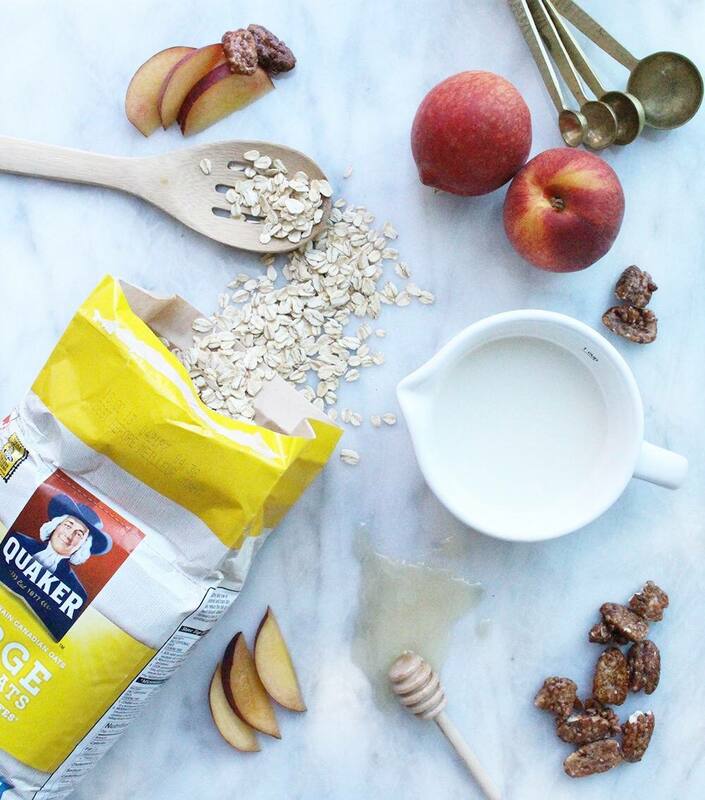 If you’d like to check out more of Quaker #OvernightSuccess recipes you can find them all right HERE. 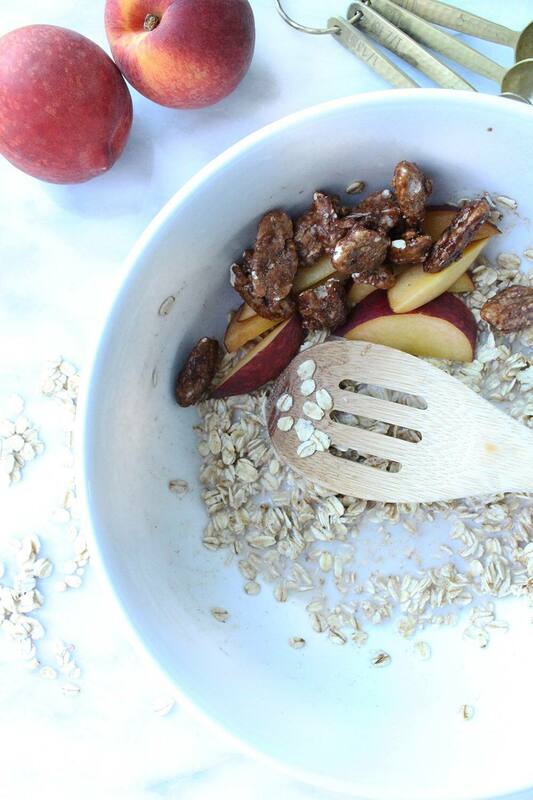 There is lots of inspiration for your next batch of overnight oats! 1. 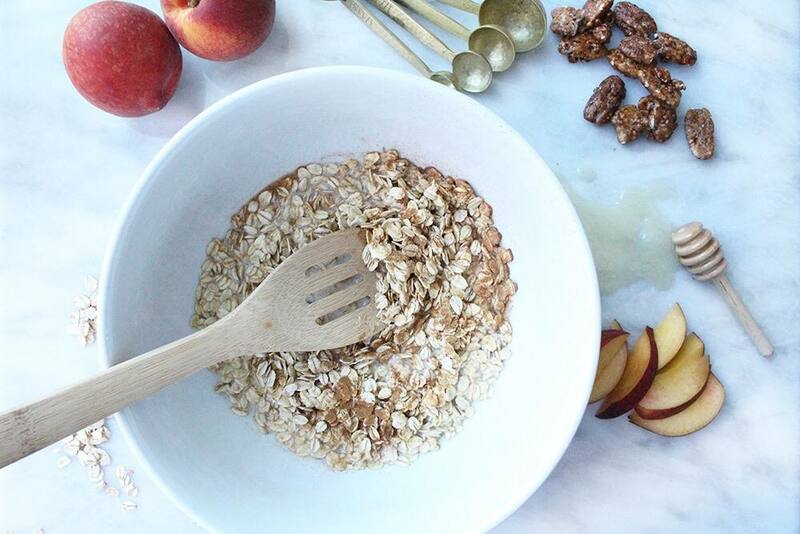 In a Mason jar or bowl, add Quaker® Oats, almond milk, hemp hearts, honey, cinnamon, ginger and sea salt. Stir to combine. 2. Stir in chopped peaches and top with remaining 2 tablespoons of peaches and roasted pecans.